I’m super excited about curating this year’s talent at FIGat7th in DTLA. CITY VIBES is about showcasing locals and folks we simply love. I can’t spell the beans just yet but so far things are looking super soulful and I also brought on board a few buddies of mine to curate some special editions. But our first edition is this Saturday and none other than RES! RES and I use to do shows at the now defunct TempleBar and Little Temple. I use to love opening for her cause you never really knew what she would do or who she would bring up stage. There was that one night she had a little known artist by the name of Santigold open up. I also had the pleasure of hitting the road with RES as we opened for Jean Grae and Talib Kweli in various cities. It was a real eye opening experience for me for to work with live musicians and provide the scratches and string samples. 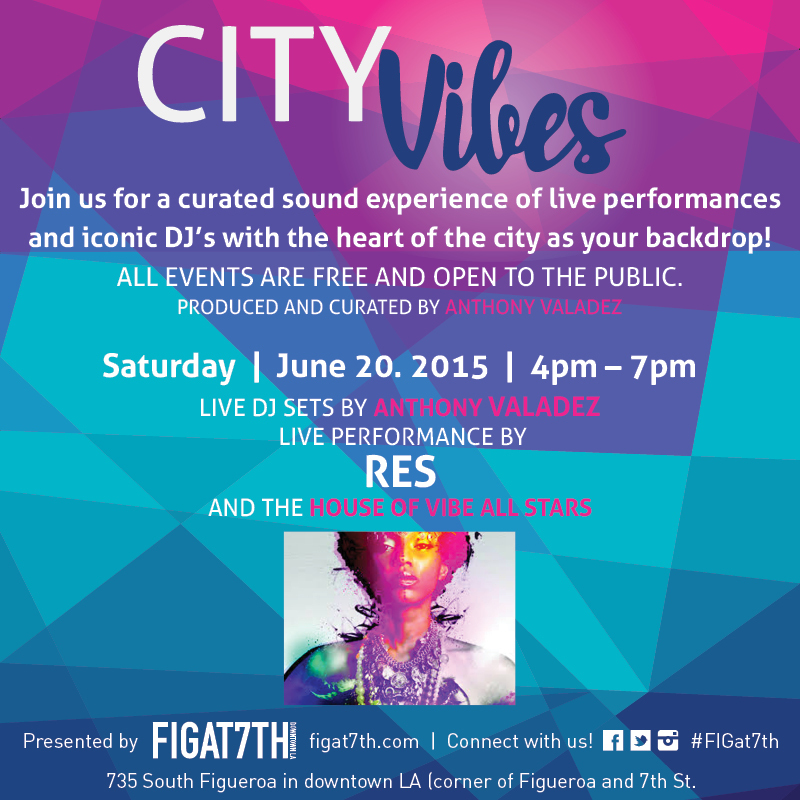 This Saturday I hope you might join us for live music at FIGat7th! Come through and enjoy all the cool eateries in the area! I’ll be there as well hanging out and playing some records. Would love to see you there this Saturday. Swing through! It’s our pre Saturday night get down before I have to head to Sayers in Hollywood! (plug).